Inn dating back to the 17th century. The Waggoners dates from the 17th century and is thought to have been built as housing for workers at Brocket Hall. It later became a coaching inn on the Great North Road, latterly called the A1. The construction of the A1(M) in a deep cutting to the west in 1974 resulted in the pub being left in the cul-de-sac where it is now. 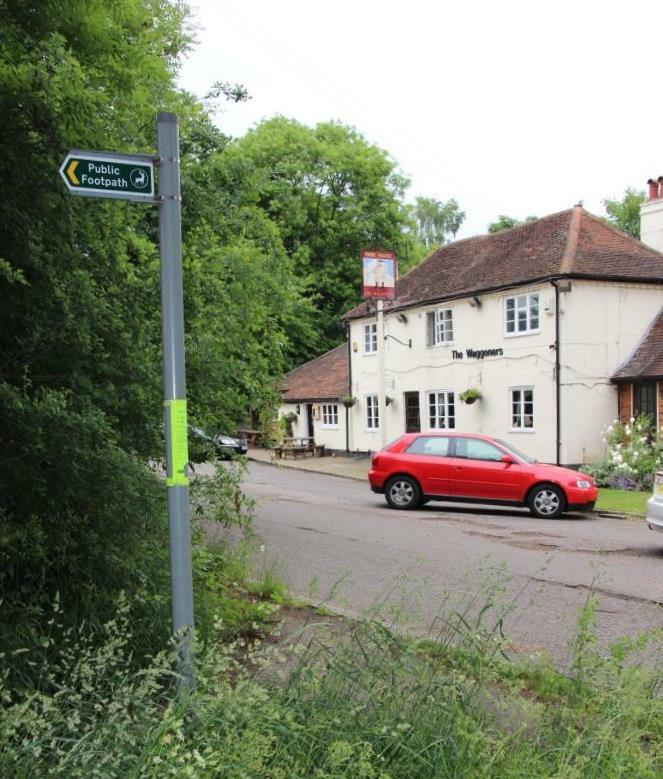 The pub is sited on level ground at the top of the hill between Lemsford and Welwyn. This enabled waggon drivers to give their horses a rest after the long pull up “Mountain Slow”.